The job of first responders exposes them constantly to stressful situations. It leads to a buildup of trauma, which over time can drive a person to seek solace in substance abuse. First responders may suffer from anger issues, post-traumatic stress, grief, depression, and also relationship issues. First responders, such as policemen, fire fighters, soldiers, EMT personnel, doctors, and nurses are vulnerable to many of the situations that drive humans to drink and drugs. Responders willingly expose themselves to trauma that can push them to addiction. Their commitment needs to be appreciated and they should be offered all the help that society can give. Usually, responders do not enter their services with a history of trauma. Some do. Of these, those who have successfully overcome past trauma are better equipped to handle the stress at work. However, responders with unresolved trauma find it difficult to deal with additional stress. Trauma at work can occur in discrete episodes or as a result of a build up from being continuously exposed to many strong and often negative emotions. Alcohol is most frequently used to get rid of stress. For responders, there are no taboos attached with liquor and a visit to a bar after a hard day is a ritual that is observed more often than not. Because alcohol is tolerated, addicts are tolerated too, and within responder work environment, addiction really has to take deep roots before it becomes a cause for alarm. Opiates and narcotics too are consumed by responders; initially as prescription medicine but later on the consumption is out of habit. When a responder shows signs of anhedonic withdrawal, he should be counseled. Under this withdrawal, a person no longer enjoys activities that he would otherwise look forward to. Isolation is another symptom of stress. One can gain useful insight into a responder’s mental state by talking to friends and family. Addiction recovery for responders has to focus not only on the addiction but also on the occupational elements that are causing stress. This approach reduces the chances of a relapse occurring and also teaches the responder to cope better with stress. However, withdrawal symptoms must be guarded against. In the absence of alcohol or a drug to numb the trauma, a responder may become agitated. They need to be handled with care. Staff at treatment centers need to be able to recognize the symptoms of agitation displayed by responders and know that these are linked to PTSD. Responders come from a different background, and they find it difficult to open up in front of civilians who may not be able to empathize with their situation. Also, responders are forced to handle situations that, if they were to open up about, could shock other members in a group session and may be more than what the counselor is equipped to handle. Responders are mentally trained to put others before their own selves, and they do so even during recovery programs. 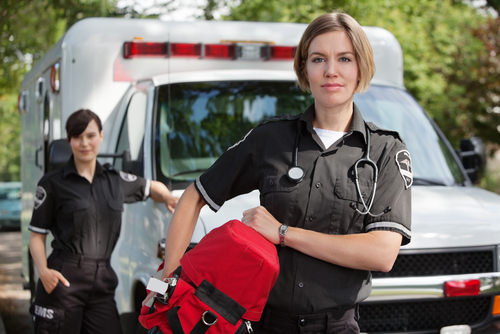 First responders are treated best in a group that consists of other responders. Group members can identify with the problems faced and it is easy to establish empathy.